Drexel Family Medicine is committed to providing personalized, lifelong care for your children. Our locations in Center City and Manayunk make it convenient to get excellent health care. 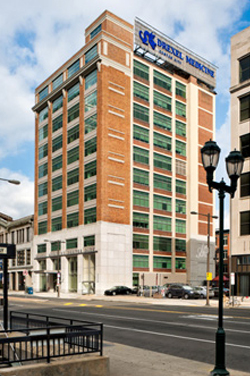 St. Christopher's Hospital for Children is a primary academic campus of Drexel University College of Medicine. St. Christopher's provides comprehensive health care and expert treatment for acute and chronic illnesses to children in the Greater Philadelphia area. Learn more about their services at stchristophershospital.com. St. Christopher's Hospital for Children is a primary academic campus of Drexel University College of Medicine. Its physicians are non-compensated members of the teaching faculty of Drexel University College of Medicine and its clinical practices are independent of Drexel University.